Are you ready for some football!?!?! And by that, I mean the sport that Americans call "soccer" because we have to be different. 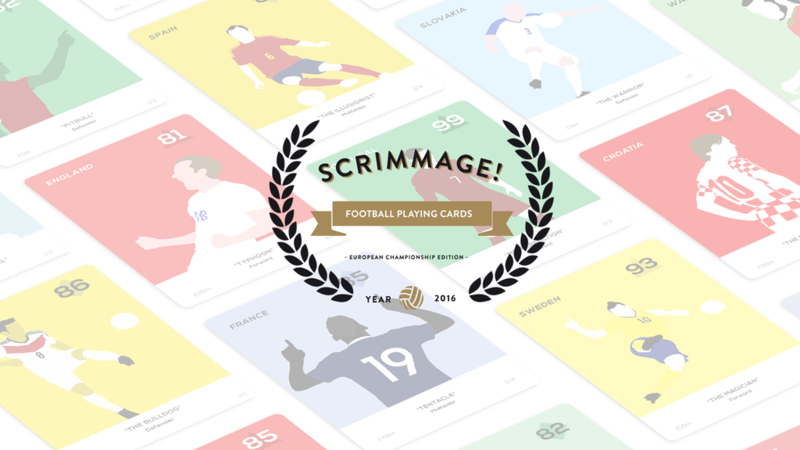 Anyway, for those of you football (or soccer) fans, there's a new card game up on Kickstarter that brings all the action and thrills (of a game that could very well end nil-nil... I'm kidding, of course) to your tabletop. The game seats 2-4 players. The game is divided into two halves (as you'd expect, but not exactly in a way you'd expect). The first half has players looking to score goals, taking turns playing cards... very close to the old game War, of sorts, but you see what cards you're playing, instead of them coming up randomly. One player attacks, playing a card. Then the other player plays a card of higher value in order to block. This half ends when one player scores 5 goals. Players then play the Penalty Shootout section, where players take 5 cards from their discard pile and place them secretly in any order. Then, the players reveal cards, again with the player playing the higher number that gets the goal. The Kickstarter campaign is up and running now. It's set to go for another 30 days.